Hmmm, we're damn hungry. I had packed our lunch from home, the typical Hyderabadi Chicken Thahari. We ate it in this park and Liya spent some time with the pigeons and squirrels slithering over there. Next, we are heading to World Trade Center. The skyscraper, which stood as the world's tallest building, at the time of its completion, well known for anyone across the globe after the September 11 attacks. The site is currently being rebuilt with six new skyscrapers and a memorial to the casualties of the attacks. The area was little messed up, as the reconstruction work is progressing rapidly. We did not take a WTC walk tour. Walking along the streets, in the blazing hot sun was quite tiring and were running short of time, too. So we decided to push off for Brooklyn tour. As we were heading back to the bus boarding point, this area drew my whole attention. This sounds like a campaign to express some defiance towards Govt/authority. Such road side campaigns, fasting etc are very popular in India, especially in Kerala, but I am seeing it for first time in USA. I am not sure, if I have mistaken, though. Don't you think, waiting for a bus is quite annoying, particularly when you are beyond exhausted? But, kids find 100 ways to kill their time, don't they? On our way, we met the Charging Bull! We're in the bus now, moving to the pick- up point for Brooklyn tour. See you there! 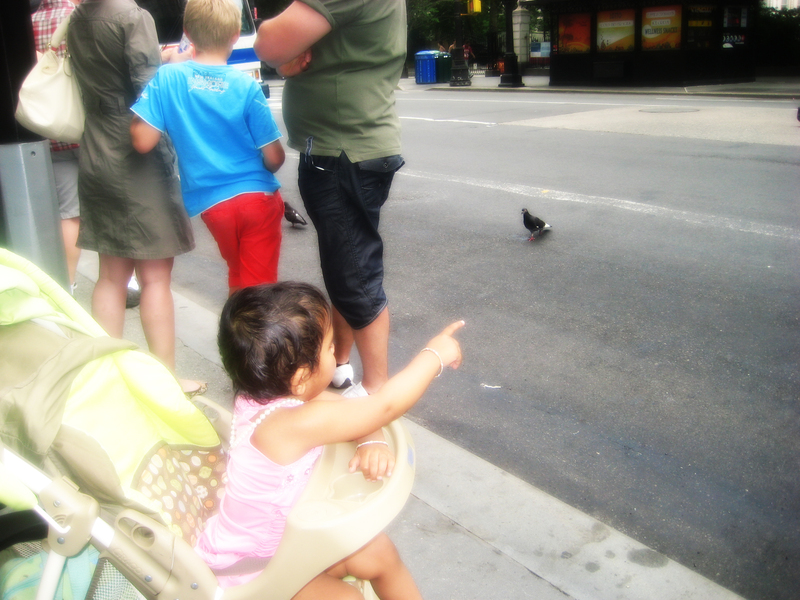 Don't miss our older posts on NYC trip [1, 2, 3, 4]. Thanks for sharing. My grandparents took a tour on the towers 5 days before September 11th, they were running ahead on vacation (when originally they had plans to visit on 9/11). Its crazy to see pictures from the site now. Thanks fro sharing! What a fun trip. I love how Liya managed to pass the time. 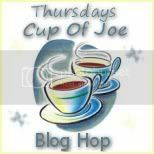 Thanks for linking up with us at Cup of Joe blog hop. I'm returning your follow from the Thrifty Things. It sure was humid yesterday. I stayed in all day. We love taking walking tours in NYC. There is so much to see and well the vibe is just great (political and otherwise). I hope you enjoyed Brooklyn. I lived there for a short time after college. It's less congested than NYC an less expensive, too. of course they do.. Hope you had a sweet time.. Thanks for stopping by little miss kate! What a fun blog you have! :) And I love the Big Apple. It sounds like you had a great time. I really enjoyed reading this and seeing the pics. I have not been to there since the attacks. So was nice to see some photos. Your little one is adorable. I love how kids can always find something to do to amuse themselves. We should all try to be like that. More patient and less distracted by life. Have a good week. That looks like an amazing place to be!